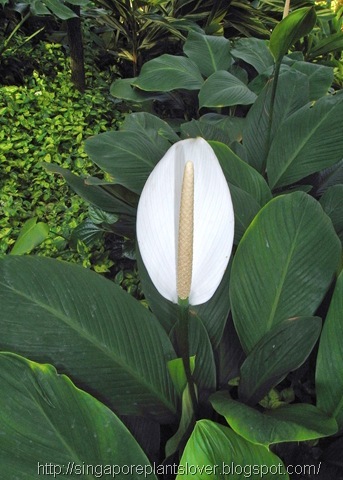 The simple beauty of peace lily flower. What a beautiful picture, and it is so peacful to look at..
Great image, I've never had good luck with Spath's unless they stay in a container. I'll have to try one in the landscape again. I used to grow ones like these indoors when I lived in New York City. Seattle's still too cold for outdoors planting. I miss them, and ought to get one in a pot again. So pretty! Wow! What a huge Calla Lily - excellent capture.